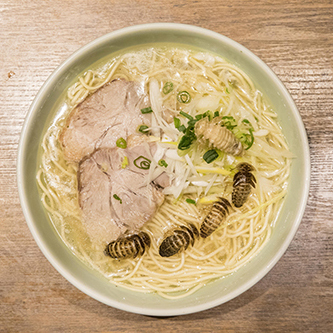 This is the first ramen in the world to use broth made with crickets. 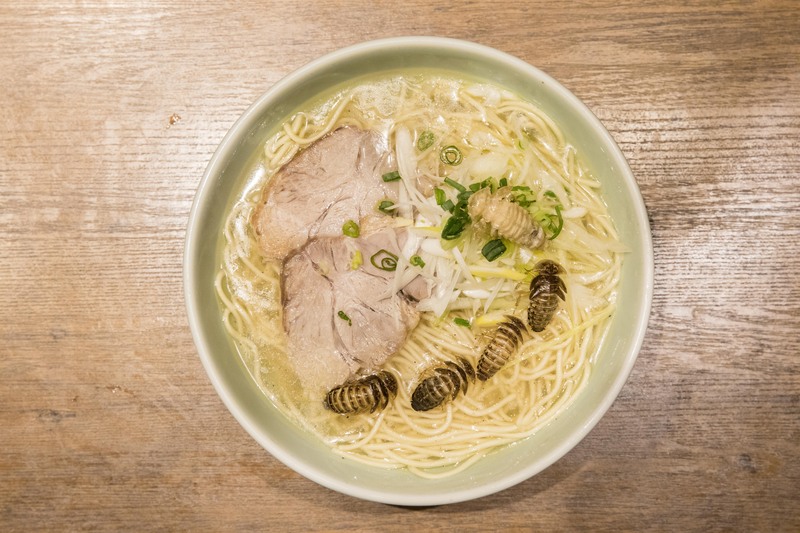 The dish was created in collaboration with the popular ramen shop Nagi. The broth, made with a blend of two types of crickets, combines a fragrance similar to shrimp with a umami flavor reminiscent of dried sardines. Sold previously at Keio University and Akasaka Sacas, it continues to sell out quickly when offered. 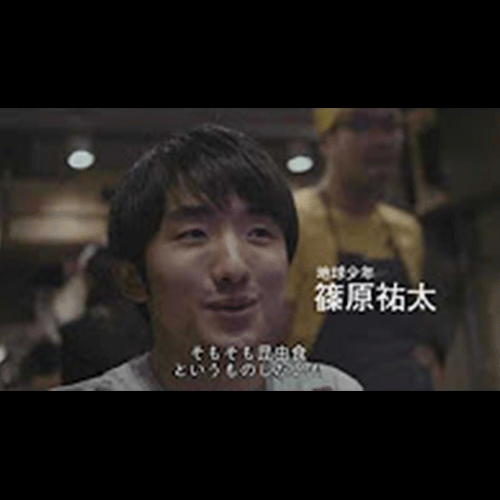 He has also been interviewed by numerous media, including acknowledgement by Hiroiki Ariyoshi, members of the band NEWS, Japanese food critic and ramen expert Hideyuki Ishigami, and Ichiro Yamaguchi. These insect confections look delicious, and the taste make them quite palatable as well. These were limited products made and sold for Valentine’s Day. Why not choose this for your next somewhat stimulating valentine’s date? In addition to insect chocolates, his lineup of insect confections also include insect cake, insect anmitsu, and insect ice cream. 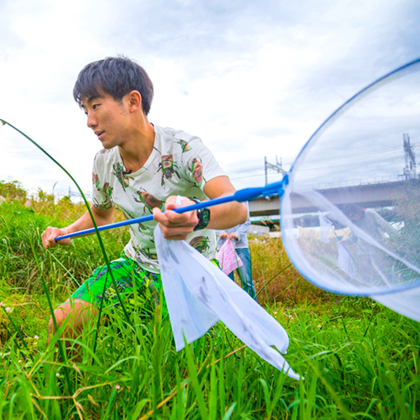 Through his activities, he seeks love for people, food, insects, and the environment as he proposes new possibilities for entomophagy. Your preconceived notions will likely change with the first bite. There was much uproar when a dead cockroach was discovered mixed in with the noodles in a package of Peyoung brand yakisoba noodles, but the whole situation made me uncomfortable. This was because while real problem was that a foreign object was accidentally mixed in, the focus was primarily on the cockroach itself as being something bad, implying that cockroaches are dirty. That misunderstanding is still quite common. In response, I want to create delicious Cockroach Noodles and develop and sell them in partnership with Maruka Foods as “Cockroach Flavored Peyoung Noodles”.